Casey was born in Philadelphia, Pennsylvania and now calls Burlington County home. He is a graduate of Pennsylvania State University (B.A.) and Widener University School of Law (J.D.). Casey is admitted to practice law in the State of New Jersey and the United States District Court for the District of New Jersey. 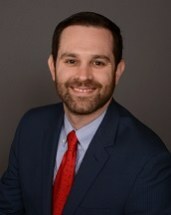 Casey handles all types of personal injury matters, including but not limited to, motor vehicle accidents, slip & fall incidents, trip and fall incidents, dog bite incidents, products liability matters, and medical malpractice. Casey also handles all types of Estate Planning matters, including but not limited to wills, living wills, powers of attorney, trusts. Casey is a member of the American Bar Association, Association of Trial Lawyers of America (ATLA), New Jersey Bar Association, New Jersey Bar Association Young Lawyer's Division, Burlington County Bar Association, Burlington County Young Lawyers Division, and the Burlington County Bar Association Personal Injury Sub-Committee. The Best Lawyers in America: Recognized in the Best Lawyers publication - 2015, 2016 2017 & 2018. See http://www.bestlawyers.com/ for further information. National Academy of Personal Injury Attorneys, Inc.: "Top 10 Personal Injury Attorneys Under 40" list (New Jersey) - 2015. See http://www.naopia.com/selection-process for further information. The National Trial Lawyers: "Top 40 Trial Lawyers under 40" list (New Jersey) - 2012, 2013, 2014, 2015, 2016, 2017 and 2018. See http://www.thenationaltriallawyers.org/ntl-groups/top-40-under-40/ for further information. Super Lawyers Magazine & New Jersey Monthly Magazine: "Rising Stars" Edition - 2010, 2011, 2012, and 2015, 2016, 2017 & 2018. No more than 2.5% of the attorneys in the state are named to the "Rising Stars" list. See www.superlawyers.com for further information. Named to the 2015 Top 10 Personal Injury Attorneys Under 40 (NJ) list published by the National Academy of Personal Injury Attorneys, Inc.